This marks the fifth full year for City Council Watchdog, with a total of 393 postings; about an average of 79 per year. This year Watchdog had 89 postings. There was a time in the early stages of City Council Watchdog that we would note benchmarks including the number of states readers were from and the number of countries in which readers resided. No doubt it was and still is energizing to see more and more readers (hits) for all 50 states, and well over 100 countries. What has been most satisfying is the number of Watchdogs, and Watchdog groups emerging throughout the country. People and groups know they can make a difference, and improvement in local government truly can happen. Thank you to our readers for your support and involvement, and thank you to all the other Watchdogs and groups for making a difference. A year from now we’ll have a new Top-20. It should be interesting. This was really an exciting year for Chicago Cub baseball fans, and with recent trades and free-agent signings this off-season, the future looks very bright. Imagine if we could upgrade our Naperville city council, the same way the Cubs have upgraded this winter, by trading city council members elsewhere to other towns, while releasing others and signing free-agent council members to take their place. The most important roles we’d need to fill is having a general manager (GM), like Epstein of the Cubs, who is committed to building the council with the most talented members available, and hiring a manager (city manager) who is considered one of the best, if not the best in the business. With those positions in place, we could evaluate current council member talent to see who is tradeable. Why do we need three attorneys on the council, when one would do. It’s like having three second-baseman. In fact, many would say, three lawyers is three too many. So let’s keep one (Coyne) and put two on the trading table (Gallaher and Obarski). Coyne is solid and we need someone who is reliable if not flashy. We don’t need two retail store owners (Chirico and Anderson); one is enough. The team needs a proven leader who can motivate, hence Chirico stays and Anderson becomes trade bait. Do we really need a teacher when we can have someone who brings so much more to the game. A single’s hitter with no speed on the base path, and doesn’t come through in the clutch is definitely expendable. That gives the GM four available for upgrading. We’d want to explore the trade market first, but Aurora, Bolingbrook, and Joliet wouldn’t give us the talent we need, so we’d have to look to comparable talented teams (cities) for trade possibilities. This would include Barrington, Geneva, Hinsdale and Lake Forest. They’re loaded with desirable talent, but there’s no way any of them will take an even trade for what we have. We could toss in Patty Gustin and do a two-for-one trade, but with Gustin being error prone and not open to improving, a trade still wouldn’t work. That means the GM would have to unconditionally release Anderson, Brodhead, Gallaher, Gustin, and Obarski and go to the free-agent market and bring in some winners to round out the team of Chirico, Coyne, Hinterlong (plumber), and Krummen (engineer, not train). Joe the Hotdog guy, he knows a thing or two about red tape and bureaucracy. A downtown bartender; who better knows what’s really going on in town. Scott Huber, our formerly homeless resident (now our resident street dweller); if anyone understands perseverance, it’s Mr. Scott Huber. How about a former council member who’s name rhymes with “First to go”. He’s been a free agent for quite some time and definitely available. Who can remember his so many forgettable moments. What about a package deal and get a taxi driver and a Uber driver. Talk about adding some excitement. And a psychiatrist who can figure out what’s wrong with the other eight council members. 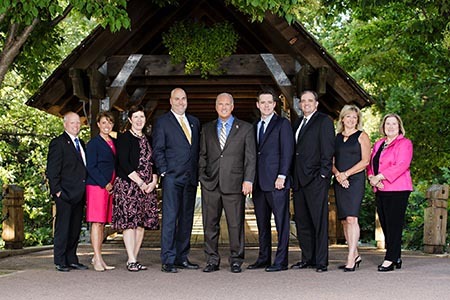 The Naperville city council is composed of nine members, including the mayor of Naperville. The role of the mayor in Naperville’s council-city manager form of government is officially a part-time position, and the same applies to the other eight members of the city council. What exactly do Naperville city council members do, when they are not governing and regulating businesses and residents in Naperville. The nine include three attorneys (Kevin Coyne, Kevin Gallaher, and Rebecca Boyd-Obarski), two business owners (mayor Steve Chirico and Becky Anderson), a realtor (Patty Gustin), a plumber (Paul Hinterlong), an engineer (John Krummen), and a faculty member (Judith Brodhead). The City of Naperville’s website also has an individual picture of each, along with a short bio for three of the nine (Brodhead, Chirico, and Hinterlong). The new council took the oath of office last May, however their group picture wasn’t posted until just recently, and the fact that six of the nine have yet to include a short bio, doesn’t show much of a sense of urgency on their part to have residents learn a little more about each. So what does each council member bring to the dais from their vocation that helps them with their avocation (council responsibilities)? I say avocation because at least three council members have mentioned how much fun they are having as a council member since being elected (Anderson, Gustin, and Krummen). It seems that governing draws a preponderance of lawyers (Coyne, Gallaher, and Obarski) at all levels of government, hence 33% on this council reflects that theory. They have a tendency to make things more confusing than they need to be, which is why attorneys are needed in order to explain ordinances, regulations, and laws they help create. Retail business owners (Anderson and Chirico) probably bring more to the dais than any other group since they know what it takes to succeed in order to stay in business. There are no safety nets in their world if bad decisions outnumber the good decisions. Having a realtor (Gustin) on the council can help when it comes to explaining why so many store fronts and Naperville locations are empty and what can be done to change it. Every group needs an engineer (Krummen) and I don’t mean a train. They tend to be very detail focused and have the ability to make every statement sound like a question. A tradesman is also nice to have on the council, and what could be better than to have a plumber (Hinterlong) especially in the spring, summer, fall, and winter when flooding occurs in the basements of residents homes. Faculty member, associate professor of English, (Brodhead) brings an uncanny knowledge of split infinitives and dangling participles to the dais. The need for that expertise has not yet surfaced, but when it does, the council has itself covered. The Naperville city council has their talkers and their listeners. Talkers like to talk more than listen and visa versa. The talkers group consists of everybody except council members Kevin Coyne and Becky Anderson who listen more than talk. Coyne is unique, in that when he speaks, he really has something important to say. That in itself makes you want to pay attention to what he has to say. Councilwoman Patty Gustin, on the other hand, is the talker of talkers. However she too can grab your attention, not that what she has to say is important, because it usually isn’t, but because it’s difficult and somewhat amusing to try and figure out what she is trying to say. It usually makes no sense. It’s no wonder that Anderson supports this proposal, since she owns Anderson’s Book Store in downtown Naperville. Mayor Steve Chirico also owns a retail flooring business in Naperville. Both businesses are successful because both Anderson and Chirico do a great job leading and managing their businesses and providing great customer service. When my wife wanted to purchase carpeting, we chose Great Western Flooring, and when my wife wanted to find some difficult to find art books and coloring supplies, she chose Anderson’s. The last book I bought, ‘The Mattheny Manifesto’ I bought on line (better price and free shipping). The last book I bought at Anderson Book Store was a Chelsea Handler book in 2010. The reason you ask, is because she was there to do a book signing. How could I resist an autographed book, a picture with Chelsea and her words emblazoned in my mind as I approached , “ah, the silver fox”. Amazon couldn’t do that for me even with free shipping. Listen, I get it, retailers want a level playing field with online retailers, so make everybody pay more with more taxes. Another way of making a level playing field is to abolish all sales tax for retail stores and nobody pays. As a consumer, I sort of like the second option. At the beginning of council member Anderson’s reading, she said, “encourage everyone to support this”, in other words let’s get consumers excited about paying more tax. Let’s see, ‘pay more or pay less’…hmmm, which do I want? I guess that’s not going to happen if the choice is presented. Government’s solution to everything doesn’t have to be more taxes, but it typically is. Retailers need to be creative, something other than more mandated taxation. Great Western Flooring did it with quality, service and reputation. Anderson’s Book Store did it by carrying unique products. And Anderson’s did it for me with Chelsea Handler. Having a place to park also helps. We’ve all seen it at one time or another, when some guy is running a marathon race, and he’s coming down the final stretch weaving all over the place, trying to remain on the track while stumbling forward towards the finish line, and you begin leaning towards the finish line trying to help him, and hoping if he falls, he does it forward across the line instead of backward. Hinterlong might want to think twice about making any motion about anything involving dollars especially if a decimal point is present. All councilman Hinterlong needs to do in the future is to sing the numbers rather than reading them. It’s amazing how simple solutions are always the best. I get calls and emails from Naperville residents, along with others from elsewhere asking questions. I answer the best I can, and/or provide direction to a specific source who can help them. I had a call about a month ago from a resident renting an apartment who noticed something on his utility bill. He had read Watchdog postings about the City of Naperville increasing the charge for refuse/garbage pick-up by 617% while also changing the contractor used for the service from Republic to Waste Management. The increase won’t happen until the first of the year, so he is currently being charged $2 per month. However, he is not being serviced by the City of Naperville’s garbage pick-up service; the apartment complex he lives in contracts with Flood Brothers. If the City of Naperville would have handled the situation ‘properly’, maybe it would have simply gone unnoticed. They could have said, “Thank you for bringing that to our attention. We will rectify that for you. Would you like a credit on your utility bill, or a refund?” But no call from the City. Nothing but crickets. Watchdog contacted 12 apartment/condominium complexes in Naperville and found that eight were using a private service for garbage pick-up, rather than using Naperville’s service contractor. If you extrapolate this out, this could be a huge overcharge by the City of Naperville to residents. $2 per month, times ‘X’ months, times ‘Y” number of households. This could have been happening for years. The City of Naperville has been charging for services not rendered. Issuing a credit on the resident’s utility bill acknowledges that fact. The City of Naperville is now fully aware of the situation. If the City chooses to do nothing about righting the wrong, and correcting the situation, it will only intensify and and the dollars will escalate when the 617% increase to $12.35 per month takes effect. It’s doubtful that the City of Naperville purposely chose to create this situation, however it’s probable that the City wasn’t paying attention to detail when the $2 per month, and soon-to-be $12.35 per month charge was approved. To think this could all have been avoided if someone with authority within the City was paying attention to detail, or if this particular resident would have received a courteous return phone call. A simple solution (Occam’s Razor) would have been the best solution. The busiest department at Naperville’s city hall must be the legal department. It seems like city officials are trying to fend off one lawsuit after another. You would think they have become pretty good at doing this but this isn’t the case because they lose one case after another. Apparently they are not familiar with the idiom that states, you reap what you sow, or more formally said, as you sow, so shall you reap. What happens to the City of Naperville is the result of its own unwise actions and bad decisions. Unfortunately what happens to the City, happens to the residents, since they are the ones paying more and more for bad decisions by city officials. If city officials including city council members were held financially responsible and accountable for bad decisions, there would be far fewer bad decisions. Until that time comes, and it probably won’t, the only thing residents can do is vote the rascals out of office. A Federal lawsuit against the City of Naperville has been marinading in the court system for more than a year, based on violation of the Equal Protection Law. It focuses on the forced installation of smart meters. The claim alleges that the City of Naperville, vindictively and maliciously treated people they knew were associated with the Naperville Smart Meter Awareness group differently than other people. The City is trying to stay discovery, and desperately trying to prevent Naperville city officials from being deposed. City officials are afraid of certain information coming to light, including the alleged use of police to target certain people, and the alleged use of private investigators facilitating the action. Lawyers representing the Equal Protection claim against the City should now have enough to prevail in court. When this is resolved, that will open the door to another lawsuit waiting in line against the City for violation of the Fourth Amendment of the Constitution, which protects the right of people to be secure in their persons, houses, papers, and effects, against unreasonable searches and seizures. If you drive by the Municipal Center late at night, and see the lights on in certain offices, you can be sure that’s where Naperville legal’s department is located. In the meantime, if you’re looking for Naperville city officials, you’ll likely find them in the inky shadows of City Hall’s corridors. It’s that time of the year again, when Naperville city department heads present their requests for capital expenditures to the Naperville city council. The process is very similar to kids standing in line waiting to tell Santa Claus what they want; not what they need but what they want. This was the year that Santa was going to tell the kids, that needs are more important than wants, and it was time to get real and stop borrowing more and more, creating more and more debt. That’s the song and dance that city officials gave to residents as they imposed a first time ever city sales tax, increased the fee for garbage pick-up by 617%, and are ready to slap a huge increase on electric rates to the residents and businesses of Naperville. City officials vowed to cut expenses, thereby focusing on debt reduction, and replenishing cash reserves. The only noticeable cost-cutting measure is the elimination of bottled drinking water for council members during council meetings. However it was noticed at the last city council meeting, that councilwoman Patty Gustin had what appeared to be a bottle of water directly in front of her. Even that cut in expense didn’t last long. The Naperville city council is addicted to borrowing, and then borrowing more and more. Spend to borrow, then borrow more to spend. More than 20% of the capital requests don’t have a funding source. The council says, no problem; we’ll borrow money and let somebody else worry about the future. The Naperville city council was presented with three options: 1) borrow a little, 2) borrow more, or 3) borrow a lot more. Why was there not a fourth option of borrowing nothing for this year, and focusing totally on debt reduction and replenishment of capital reserves. This coming Tuesday night, the Naperville city council will vote to increase the burden of additional debt on the shoulders of current residents and those yet to be born. When it comes to fiscal restraint, spending and borrowing, every day is Christmas for the Naperville city council.